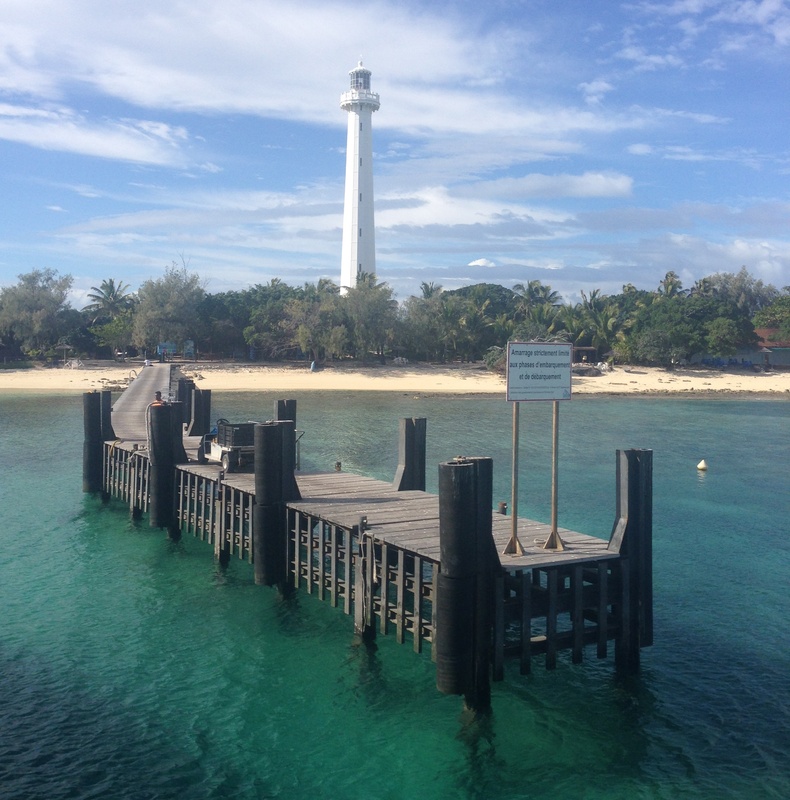 There’s a lot to love about the trip to Amedee Island on the Mary D. Swimming with resident green turtles is a major highlight in a totally relaxing day. But I just couldn’t go past the snakes – well, without nearly stepping on one. It’s not like you can miss something this dramatic. 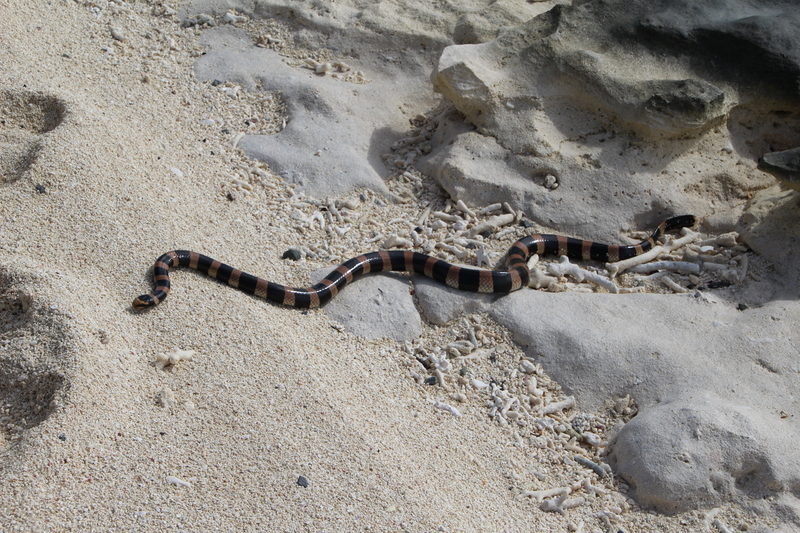 This black and rust striped Tricot rayé (Striped sea snake) and several snakey-mates are curled up along the pathway and very close to my feet. 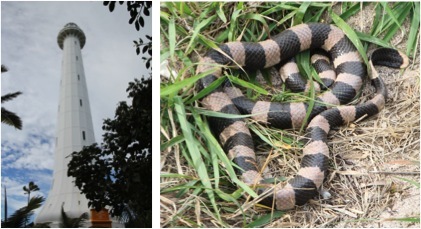 Nearby, there are blue and black-striped ones. 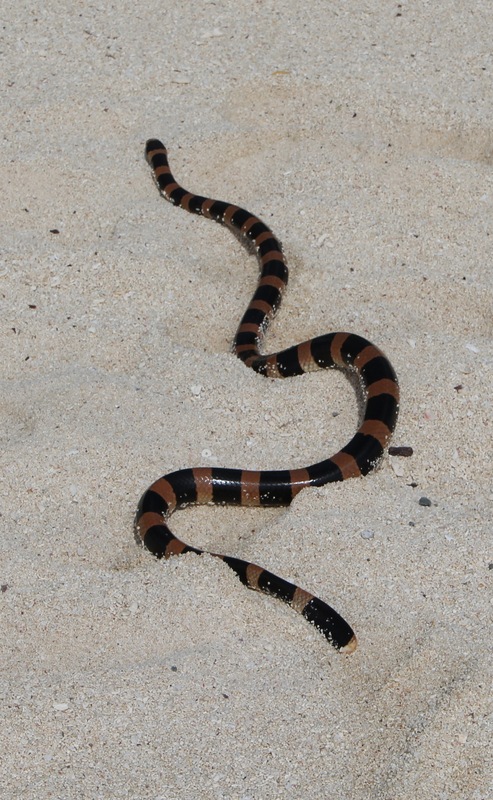 These gorgeous sea snakes are more venomous than cobras but totally chillaxed! Which is pretty lucky considering I am totally distracted by nature, and tend to not pay attention to where I put my feet! These shy, reclusive creatures still have lungs, so they come onto land to hang about and digest their food (usually fish and eels), then head back into the sea to hunt at night. 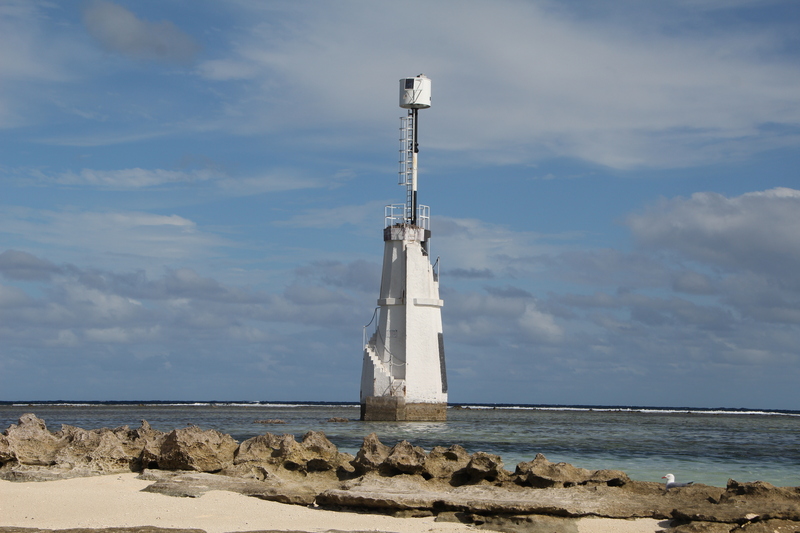 This entry was posted on Wednesday, September 3rd, 2014 at 8:40 pm	and tagged with Amedee Island, Beaches, Green turtles, Laticauda, marine life, Mary D, New Caledonia, Noumea, Nouvelle Caledonie, photography, Sea snakes, travel, Tricot raye, vacation and posted in New Caledonia, Photography, short breaks, Travel, Wildlife. You can follow any responses to this entry through the RSS 2.0 feed. 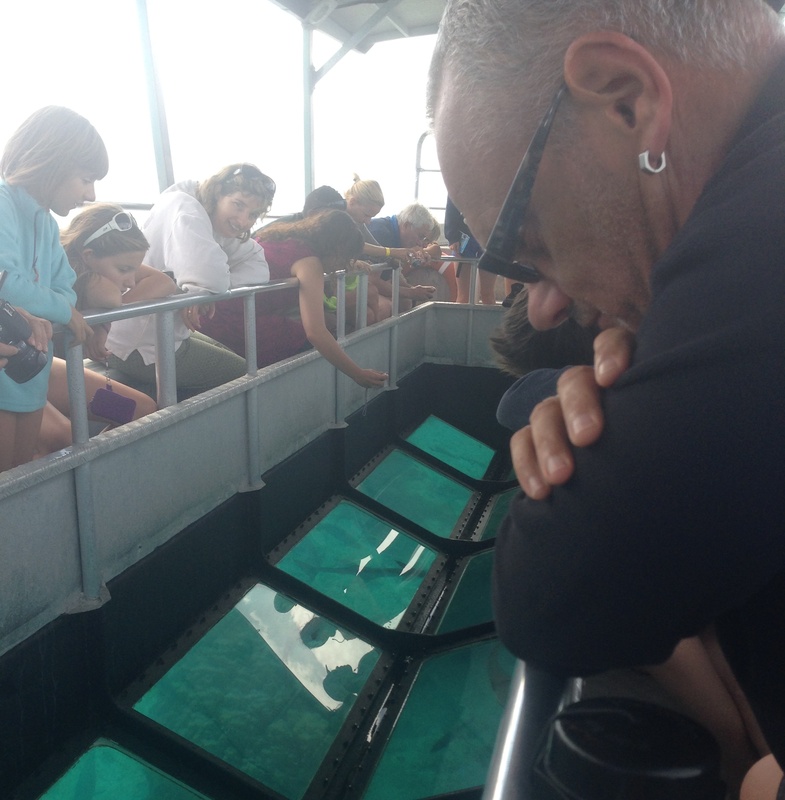 I’m not sure I would be as relaxed as you were around them… They are beautiful though.